Our little "jewel case" with it's own large terrace close to the pool. The entry to the apartment with direct view to the pool and the ocean. 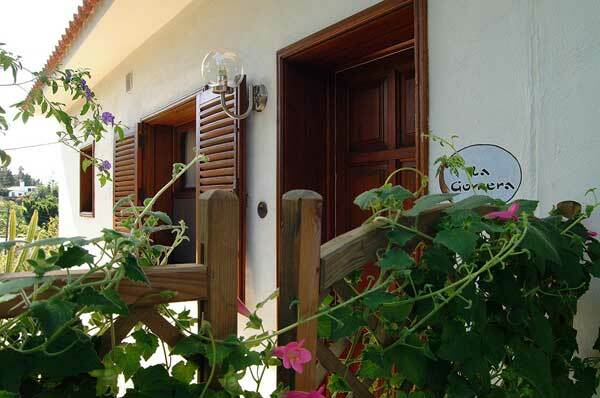 The apartment has a large terrace of more than 80 sqm and a hammock for you to relax. Our swimming pool - 10 x 6m large, 1.6m deep and solar heated. Thanks to the solar heating system, the water temperature is still pleasant even during the winter month. The large terrace is furnished with comfortable chairs and tables and sunbeds with thick cushions. From here you can enjoy a marvellous view to the ocean and the mountains. This is a view from your private terrace. 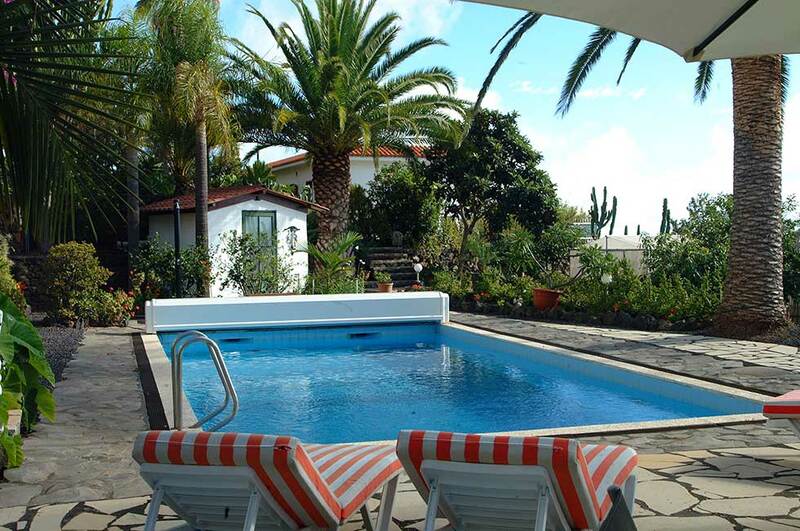 Our small exclusive, registered holiday compound Jardín de Aridane with it's two spacious and comfortable bungalows and its apartment is situated in a beautiful subtropical park between the towns of El Paso and Los Llanos de Aridane in the sunny west of La Palma approx. 400 m above sealevel. Here you can see how other guests rated their vacation at Jardín de Aridane. 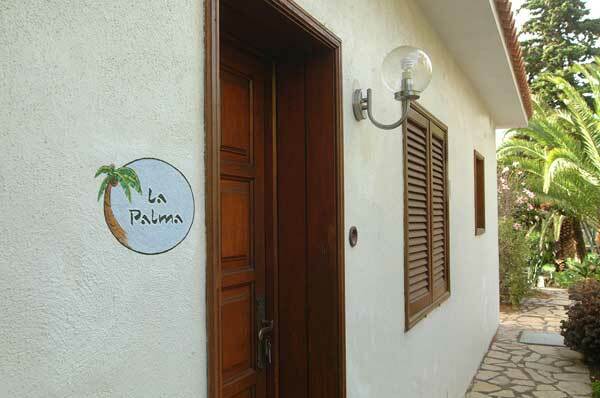 La Palma is still a "hidden treasure" to most of the people and ideally suited for the fastidious travellers. La Palma features "soft tourism" - also known as "rural tourism". The island of La Palma, known as "Isla Bonita" offers - even during the high season - enough room for touching experiences and lots of peace which can be found easily due to the original beauty of the island. Not without reason, the Canary Islands are known as "islands of eternal spring", because even during summer the climate remains pleasant. Free Internet Hotspot (WLAN / WiFi) in all bungalows and the apartment. All accommodations with telephone - free landline calls. All accommodations have air condition units (silent split units for cooling and heating). 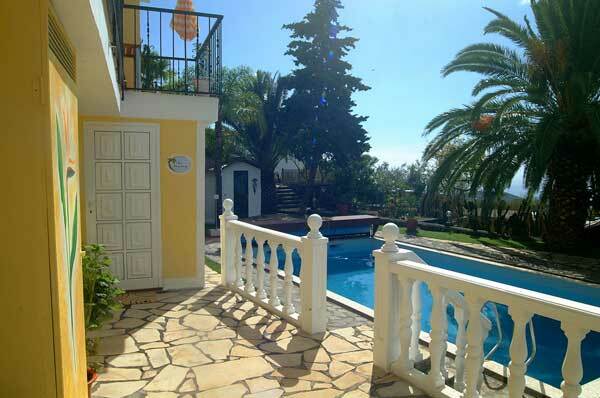 Large (10 x 5 x 1,6m), solar heated swimming pool with large terrace equipped with tables/ chairs and sun beds.